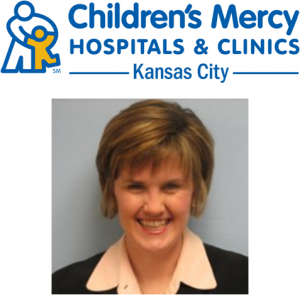 Kansas City, MO-based Children’s Mercy Hospitals and Clinics is a regional leader in pediatric clinical care, research and academics. With more than 5000 employees including 600 pediatric specialists and more than 100 scientists and researchers, recruiting top caliber, often highly specialized, medical talent is of vital importance. Following more than a decade with T-Mobile, Molly Weaver joined Children’s Mercy in 2009 and heads all talent acquisition activities. I spoke with her to learn more about the transformation she has brought about in their recruiting initiatives. What was the biggest challenge you faced when you joined Children’s Mercy? We need to hire people with extremely rare skills and experience. In some cases there may only be a few dozen of them in the country. Few, if any, are actively searching for work. Time to fill was very high, as was our spend on agency recruiters. What did you do to address this challenge? I’d successfully recruited on LinkedIn at T-Mobile, and I knew we needed to build an internal team capable of tackling this challenge head on. We needed to get out there and find the best people, whether they were passive candidates or actively looking. Finding them is only part of the challenge. You also have to make contact - most medical specialists don’t spend much time in their offices - and sell them on the opportunity. These are professionals in very high demand. How quickly did things change once you invested in LinkedIn Recruiter? We got off to a slow start. Our recruiters were hesitant to reach out proactively. That wasn’t how they did things. They weren’t comfortable being in, essentially, a sales role. It was clear that we were in need of a cultural change. A reorientation of how we work and what we deliver to the organization. I hired a recruiter from an executive search firm, someone who loves to pick up the phone and build relationships with people. He approached things completely differently from the existing team. That was the start of our new way of doing things. How did the existing team respond? Initially, not very well. They didn’t really understand why change was needed. The new recruiter, who I should mention had no healthcare experience coming in, used LinkedIn Recruiter to fill some very difficult roles with fantastic hires and most of the others began to come around. Once they got over their initial hesitation and got comfortable with the new tools and the new mindset, they started getting some big wins too. Did all the recruiters adapt to this new way of doing things? No, not all. A few moved on as this just wasn’t what they were comfortable with. It was a significant revamp of what we do and how we do it and it’s not reasonable to think that everyone will be on board. In the end, we are a stronger team delivering better results. First, we’re concerned with quality of hire. This is tough to measure and our quality was already very high, but I can’t tell you how good it feels to be stopped in the hall by one of our clinical leaders who is raving about a great new hire. Time to hire is way down. Some very difficult roles that were taking upwards of 200 days to fill are now down to less than 50. That’s huge, especially in an environment where patients require critical care. We’ve also dramatically reduced our agency spend. How significant are those savings? A few years ago we were spending $250,000 or more on placement fees. Last year that was down to $30,000 and it’s heading toward zero. What advice would you give to others tasked with building a strong internal recruiting team? Understand that it’s not easy. It doesn’t happen overnight, and not everyone will support change. You’ve got to be willing to commit to the process. Commit to the outcome. Sell the vision up and down the organization. Be the agent of change, enlist others to join you, and be willing to see it through. Access more practical advice on recruiting passive talent in our best practices center and on the blog.